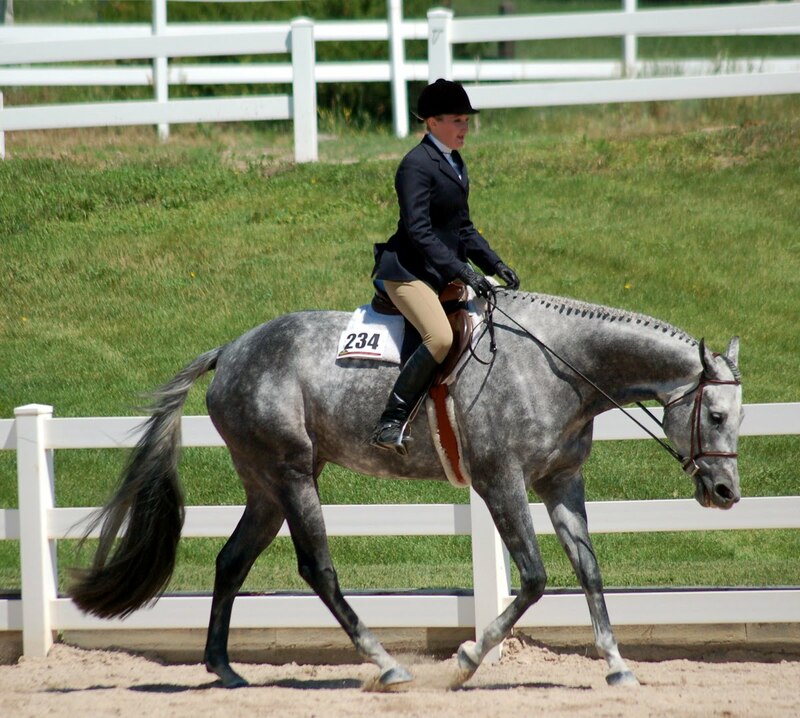 The question is asked every day: How do I improve my horse’s topline? 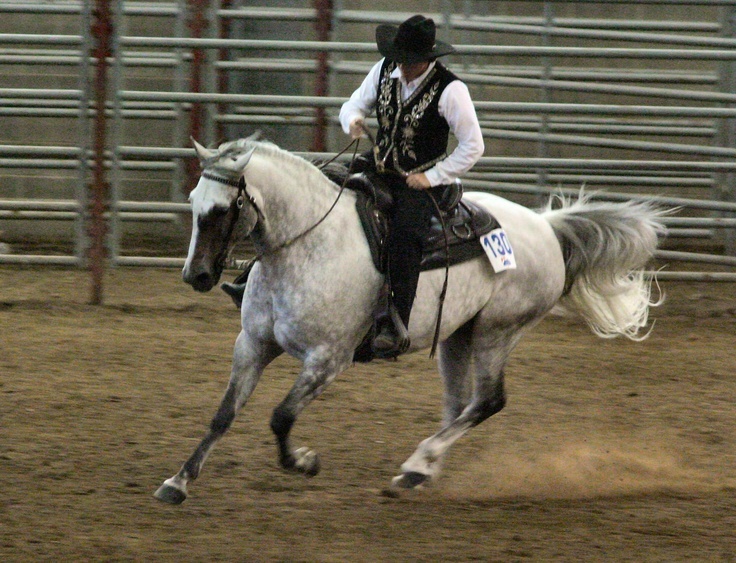 The answer is both simple and complex: Everything you do with your horse either promotes improved condition – and thus improved topline – or it doesn’t. If you are seeing incremental monthly improvements, then you’re doing it right. 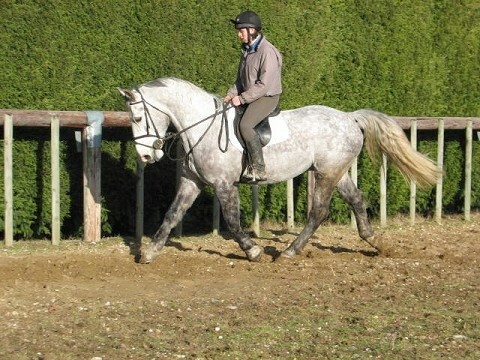 If your horse’s topline is stagnant (assuming it hasn’t reached its full condition potential already, which encompasses the vast majority of horses – even those at a high performance level) or is losing conditioning (thinning, becoming more angular, tighter, stiffer etc…) then you’re doing it wrong. 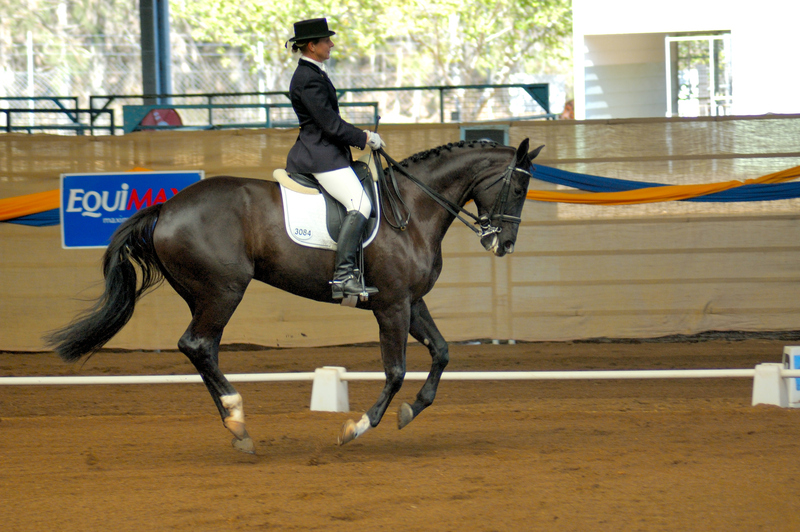 Once you recognize that your horse’s topline needs improvement, you’re likely to ask: What exercises can I do to improve it? The answer is again both simple and complex: ANY of them. ALL of them. There is no one exercise, no 12-step program. 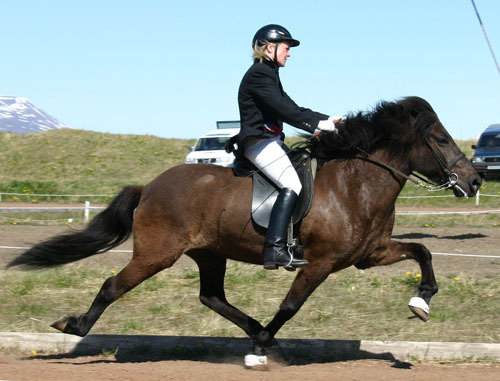 It is not the exercise but the execution of the exercise, whether walking down the long side, transitions within the trot, cantering a 10m circle, jumping a gridline, or hacking out. The key is not what you do, but how you do. 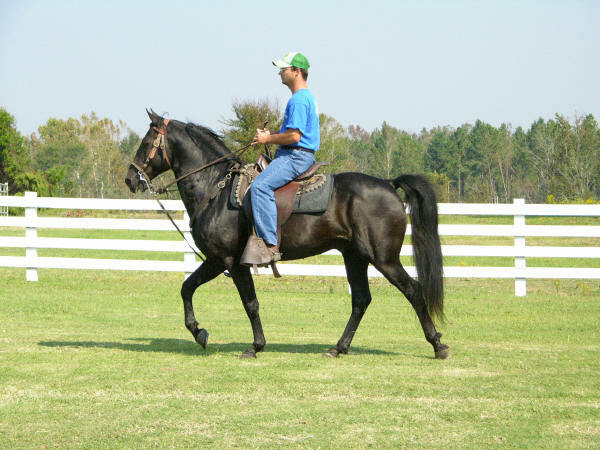 Anything that encourages correct movement from the horse will improve the horse’s topline. That’s it. That’s all. At the risk of sounding like a broken record (I still own some vinyl! ), correct movement is that which promotes health, soundness and longevity. 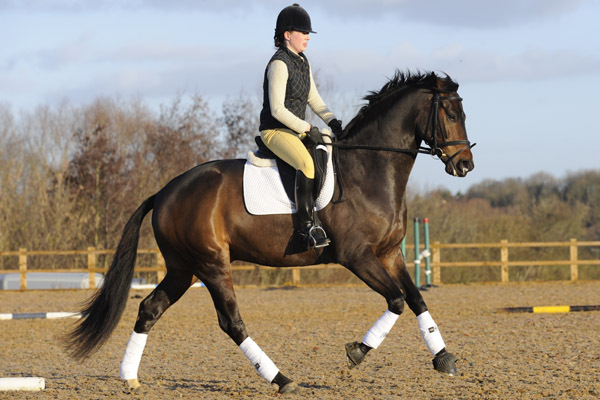 Correct movement protects the body by reducing the stress and strain associated with carrying a rider, for which the horse’s body is not well designed. 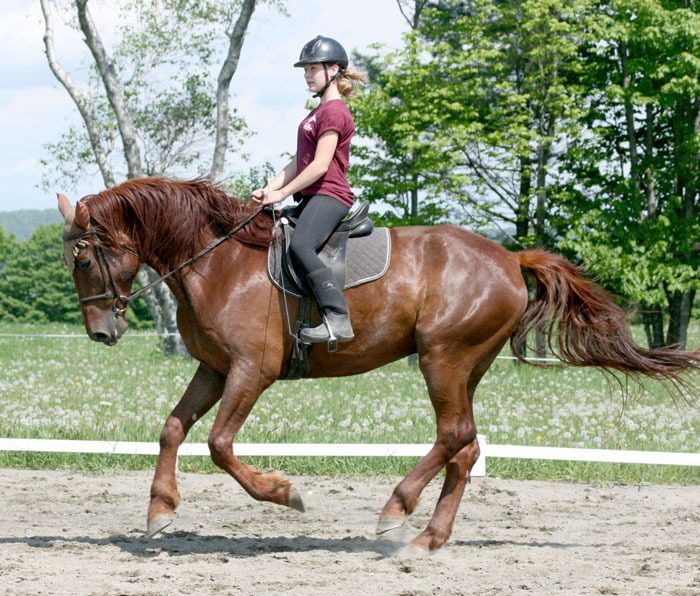 Correct movement is the horse using its ring of muscles, taking deeper, more center body steps with the hind legs, swinging easily through the hips, loin and back, contracting the core, and lifting the back, the withers, and base of neck. 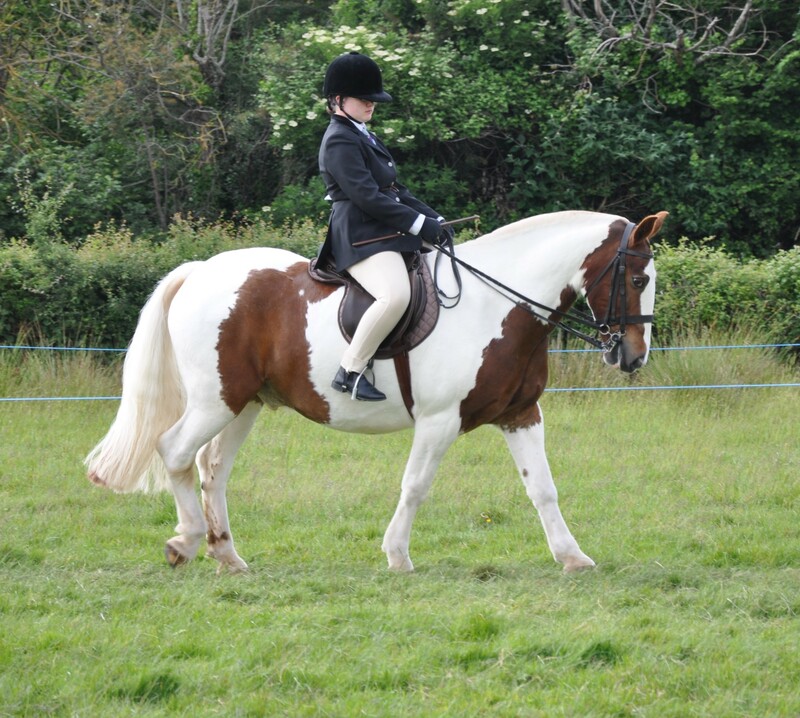 If your horse is forced/held into a ‘frame’, its topline will be negatively affected. 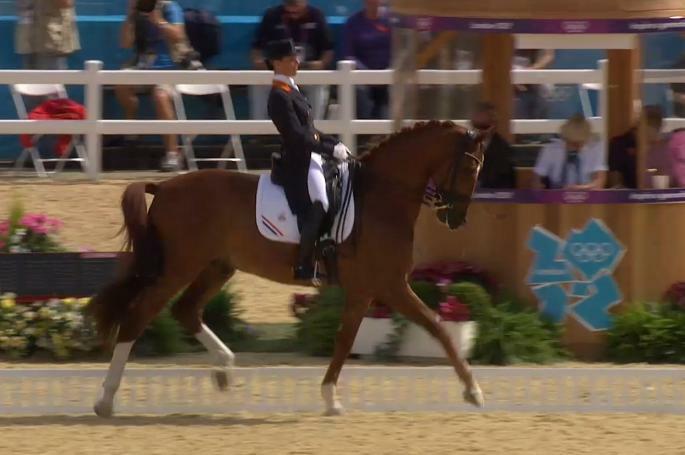 If your horse is breaking at C3 and behind the vertical, its topline will be negatively affected. 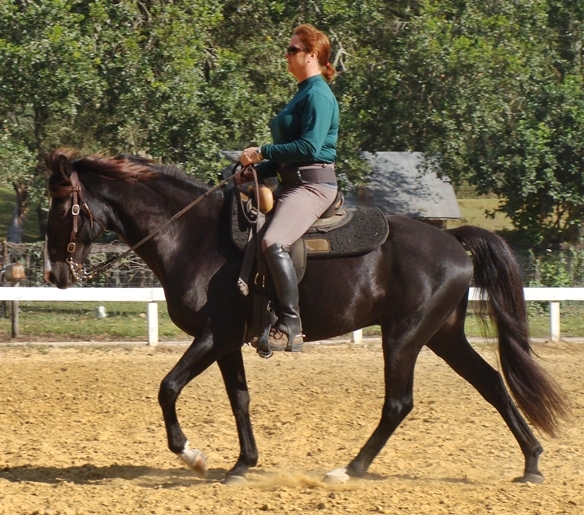 A dropped base of neck, wither or back will negatively affect the horse’s topline. 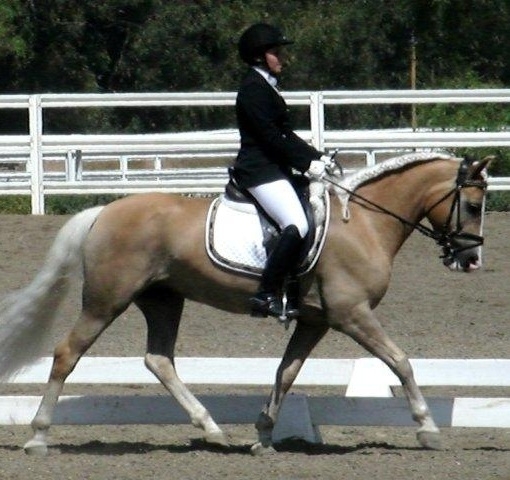 If your horse is stiff, blocked, braced, tense or crooked, its topline will be negatively affected. 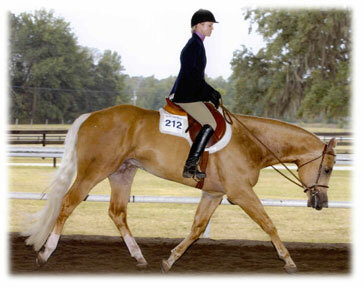 Itty bit steps, uneven gaits, trailing hocks, or forehand heaviness will negatively affect the horse’s topline. 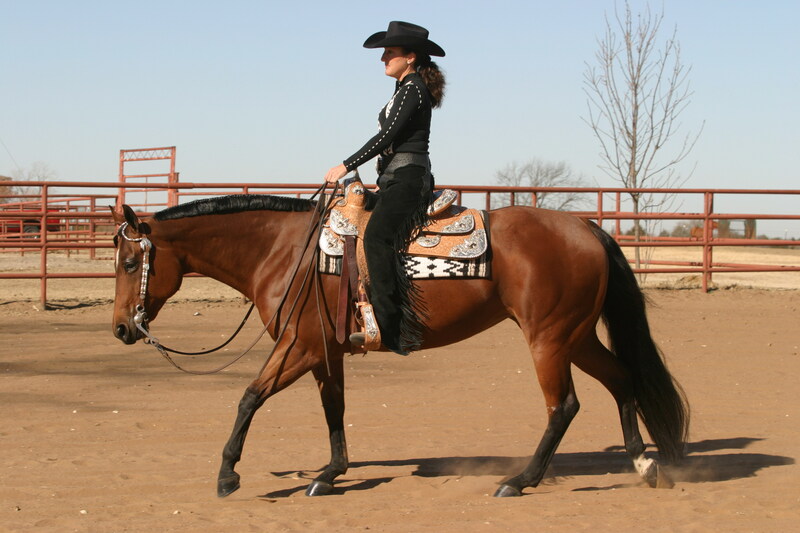 A healthy topline is full and rounded with a double back. Think of the visual plumpness of botoxed lips – a well done job. The feel of the muscle is an equal balance of firmness and giving, similar to the feel of a high quality, firm memory foam. Pliable. There should be no hollows, lumps, bumps or dips, but rather all the body parts from poll to dock should flow seamlessly into the next. 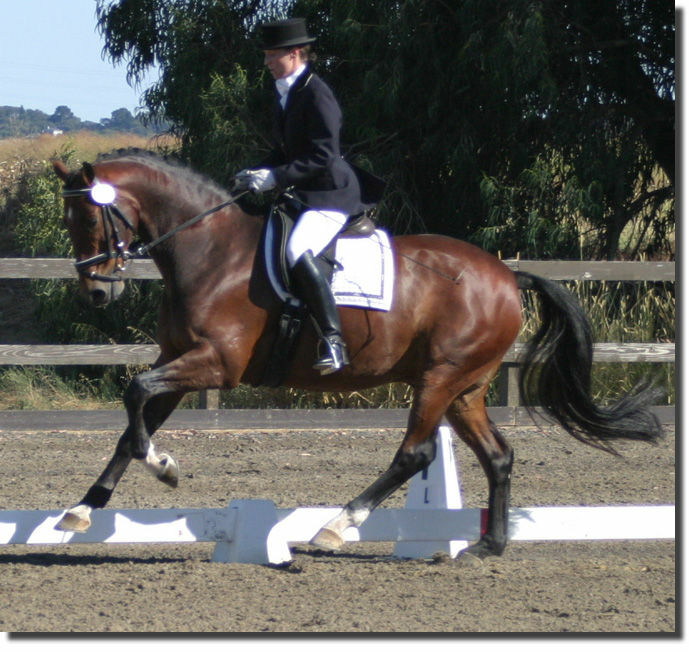 Conformation can play a significant role in the ease or difficulty of improving and maintaining the topline. 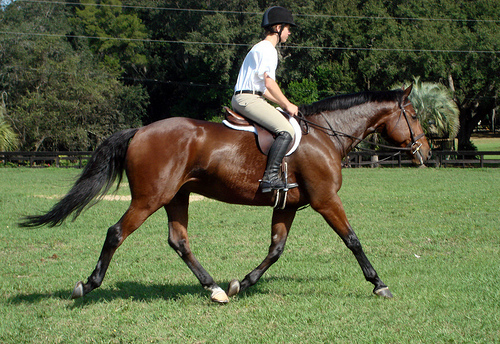 Indeed, horses that are physically challenged in this regard will often never reach desired results and can quickly revert to poor condition and posture if not consistently worked, and those with solid riding conformation will often display a good topline even under less than ideal training and riding, as they can’t help but move correctly. 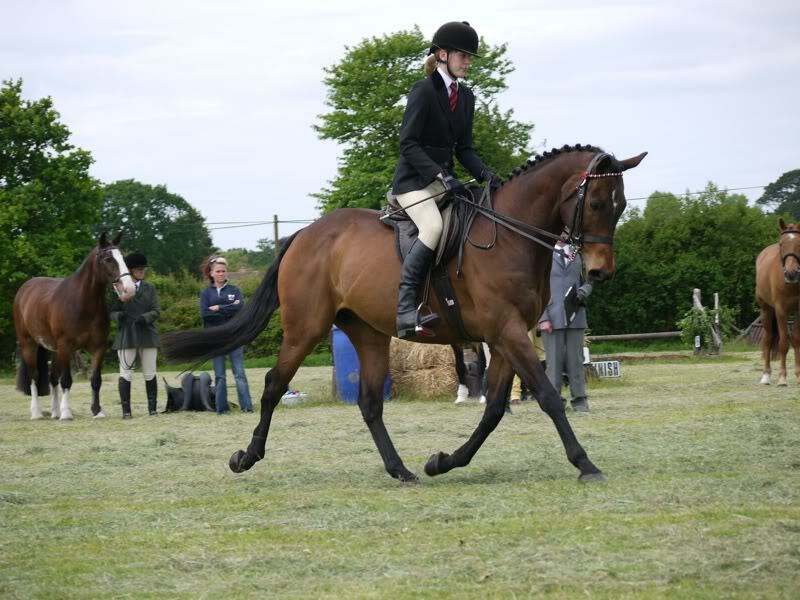 This is one of the biggest reasons why most people should try very hard to get the best horse conformed for riding as they can manage. The amount of time, knowledge and resources it takes to bring along a conformationally poor animal are not typically in the realm of possibilities for the average owner. 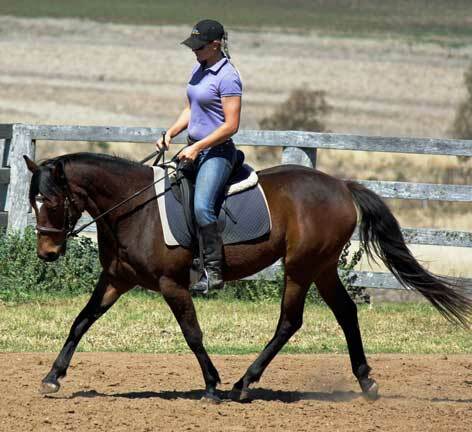 Stretching and massage can help improve the topline, particularly as part of the process of breaking a bad cycle. 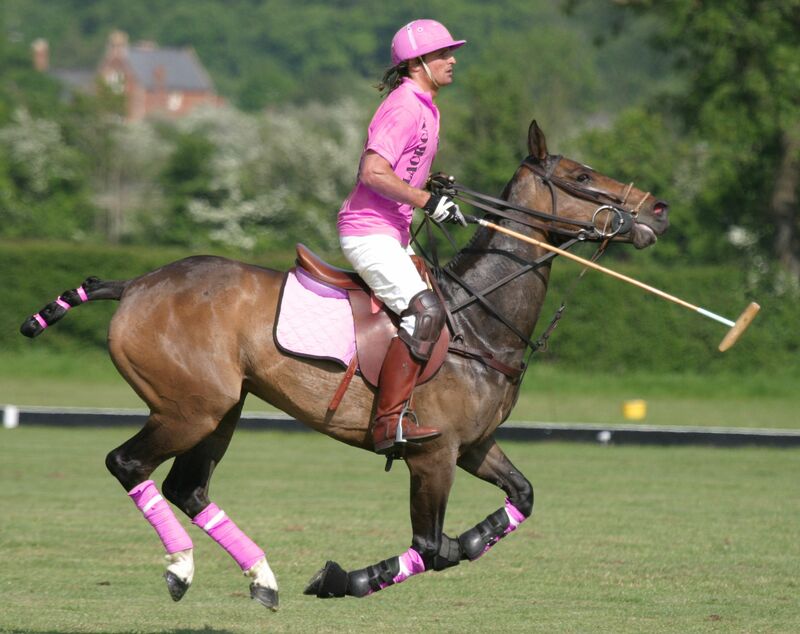 Of course any sort of injury, disease, or discomfort anywhere in the body can negatively affect the topline. 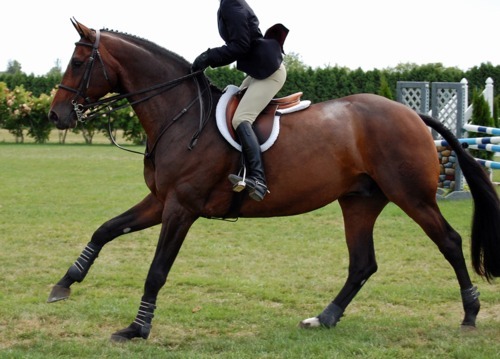 Yes, this means even slightly ouchy feet, an upset tummy from poor food stuffs, minor arthritic changes, or achy muscles from pulling the horse out of the field once a month for a trail ride can negatively affect the topline. 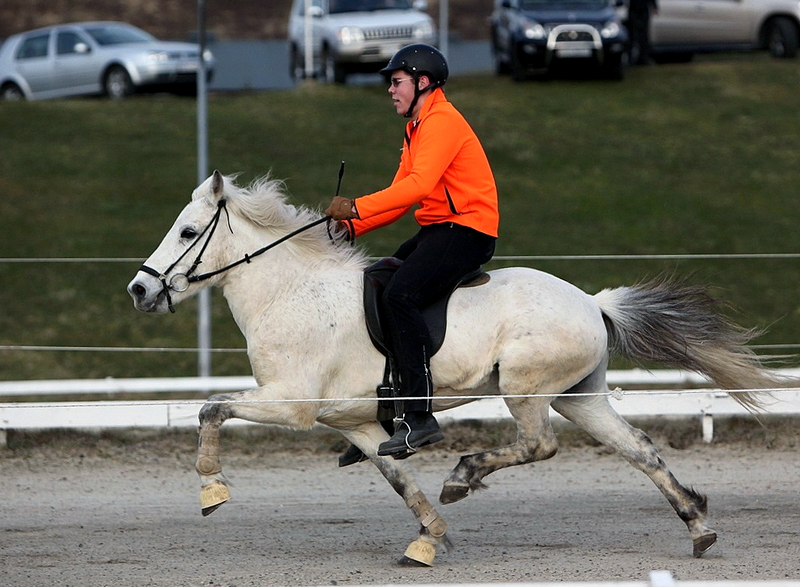 Poorly fitting tack will have an adverse affect. Not at all the answer you wanted to hear, was it? I make no apologizes for telling it straight. 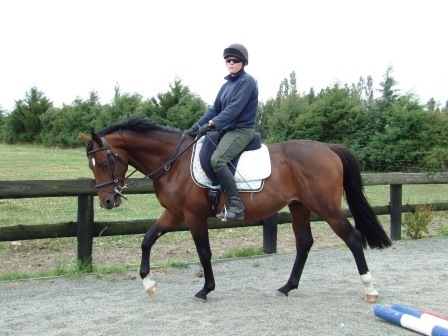 Improving the health of your horse’s topline is time consuming hard work, especially if you’ve decided to purchase a horse not ideally suited to riding, or haven’t had the good fortunate to have learned excellent riding/training skills from a knowledgeable mentor. Don’t feel disheartened, you aren’t alone. More importantly, it’s (probably) within your ability to learn, get better, and do better. 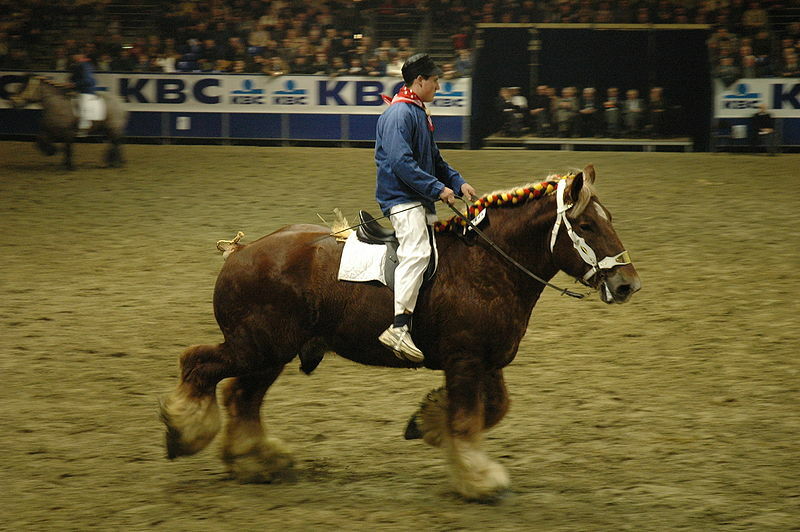 Below are 49 pictures (numbered for convenience) of different breeds of horses being ridden in various disciplines, in different gaits, by random people. (I have done a bit of grouping to help you more easily compare.) 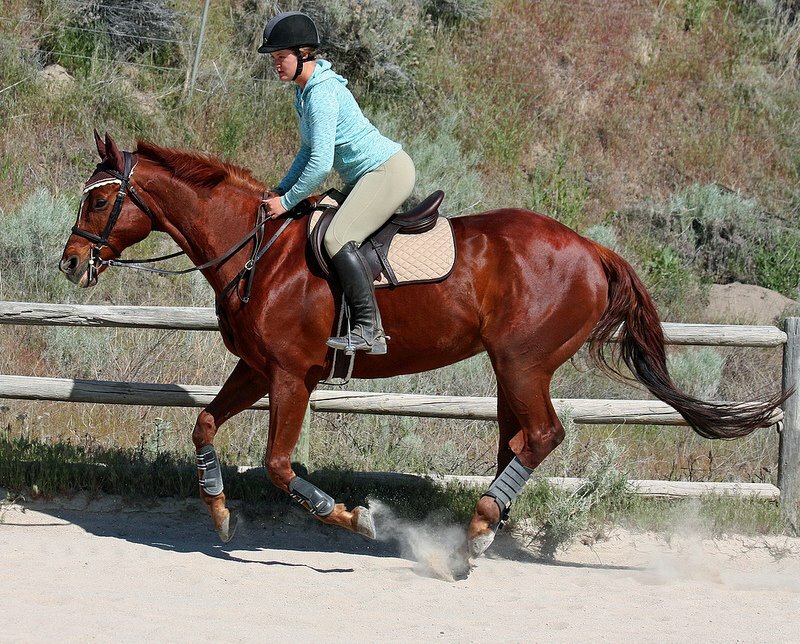 Can you identify which riders are helping to improve their horse’s toplines, which ones are not? 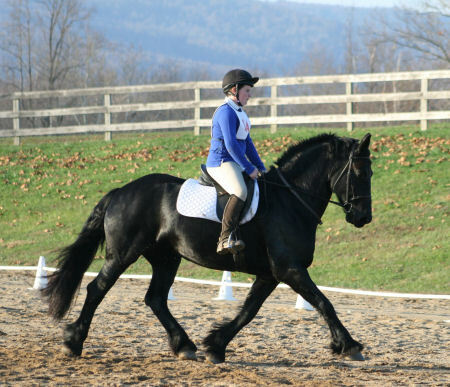 Can you identify what rider changes would help the horse be able to move more correctly? Can you identify which horses are fighting significant conformation challenges? Which ones are likely suffering injuries? Which ones are just suffering bad riding? What else pops out at you when looking at the pictures and comparing them to each other? Yes, this is a test, but the answers already exist on this blog. Feel free to cheat by rereading past articles. I’ll be posting a number of summary articles over the next couple months, as there is much to talk about and refresh in our minds. 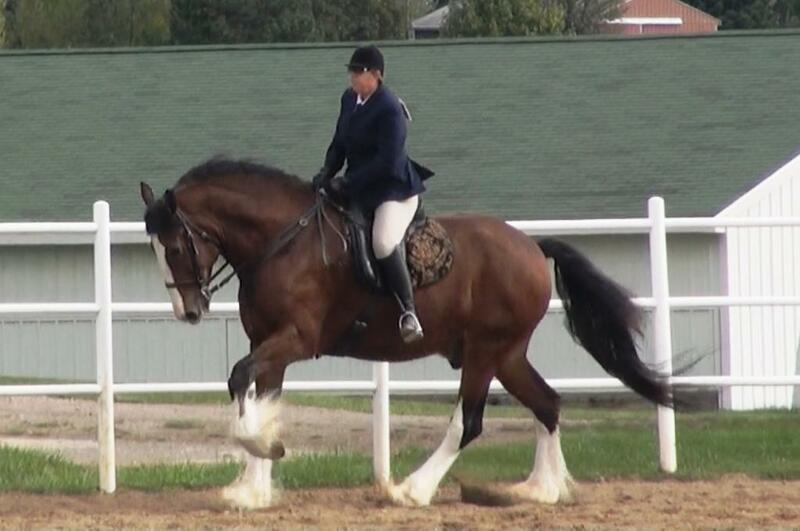 Unbalanced feet are an epidemic in the horse world. It’s an area where most owners ‘leave it to the professionals’ and don’t give it a second thought. Unfortunately, the professionals aren’t always doing a good job. 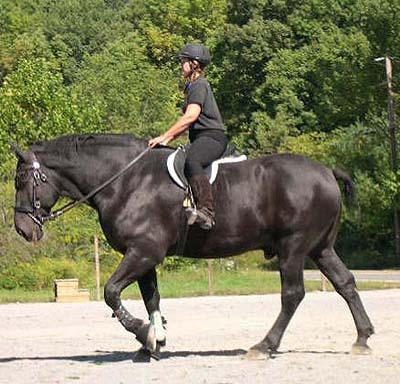 Those unbalanced feet lead to all sorts of issues; navicular disease, mechanical founder, uneven gaits, sore muscles, fractures, abscesses, quarter cracks, WLD, behavior issues, arthritic changes, sore feet, bruised soles, and so on. Please take the time to read the following short article on the rehabilitation of the feet of a foundered horse. There are a couple of really important points made in the article that all should take note and understand, as well some excellent pictures that we can use for reference and comparisons, even against non-foundered horses. If you get nothing else out of this article, understand the following: Those are contradictory statements and it’s unfortunate they were used suggesting an interchangeability. 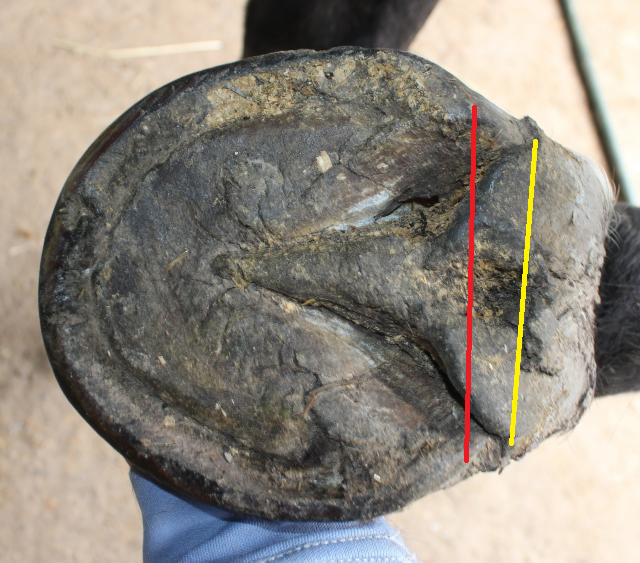 The first is incorrect, but it’s the way most people think horse’s feet work in founder situations; that the coffin bone rotates within the hoof capsule. If the coffin bone were to truly rotate within the hoof capsule, the horse would be in unbearable, excruciating, writhing pain with hoof and leg ‘guts’ falling out of the bottom of the foot and blood squirting everywhere. 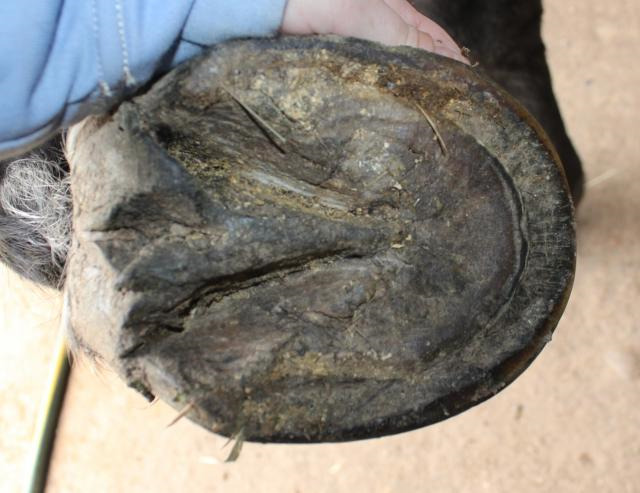 The hoof would literally be torn to shreds. What really happens in foundered horses is that the hoof capsule grows unevenly, specifically the heels grow more rapidly than the toe. In more extreme cases the toe stops growing all together. This happens because the heels continue to be supplied by blood and nutrients, while the toe experiences a significant reduction of blood and nutrient supply because of the die off of the laminae. 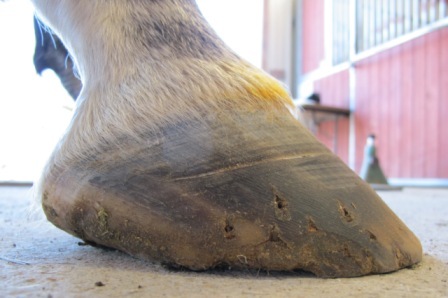 This uneven growth puts further stresses on the inner workings of the hoof and a vicious cycle is born. The x-rays then seem to show a coffin bone that has rotated, but it’s really the hoof capsule that has rotated via its uneven growth. That means the coffin bone is always ‘right’. Trim the hoof capsule balanced and voila! As a point of reference to help you see that the coffin bone hasn’t rotated but rather the hoof capsule, look at the joint of P1 (coffin bone) and P2 (short pastern). 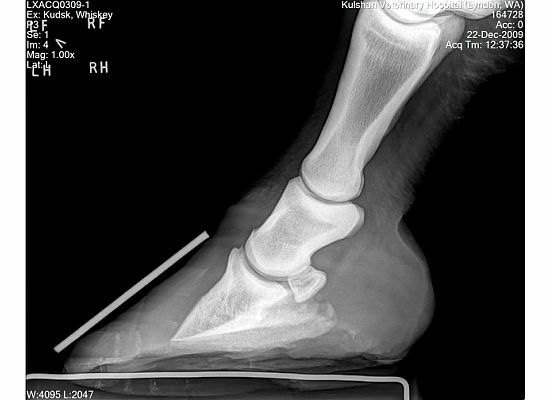 If the coffin bone had truly rotated within the hoof capsule that joint would have been ‘closed’ in the first radiograph, having pushed the navicular bone closer to the back of P2, and then progressively become more ‘open’, having dropped the navicular bone further from the back of P2. Instead, everything stays the same throughout. When looking at the subject’s feet..
…the first thing most people will notice is the dished toes. But the first thing you should notice is the heels. 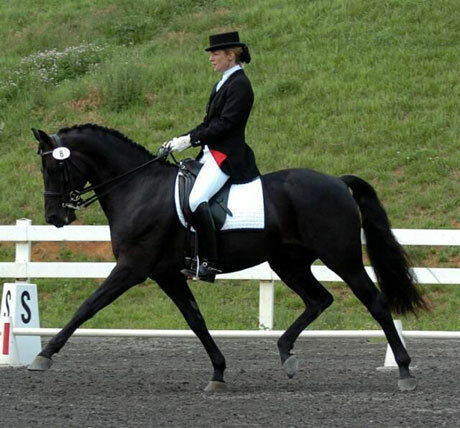 Just as we should be riding the horse back to front, we should be examining and trimming feet heel to toe (back to front). The heels of this horse are way too long, in part due to typical founder growth. Those long heels run forward and push the toe (and breakover point) forward. 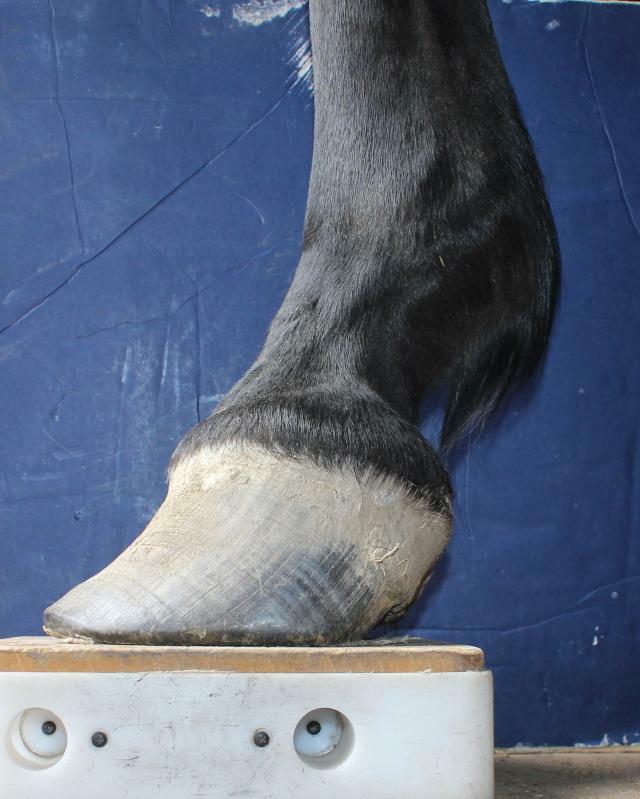 Because the toe doesn’t grow an equal amount and is weakened by dying/dead laminae, accelerating the stretching of the white line in a foundered horse, the toe also begins to turn up, unlike in a typical low heel, long toe (LHLT) situation. Here is a classic LHLT foot. 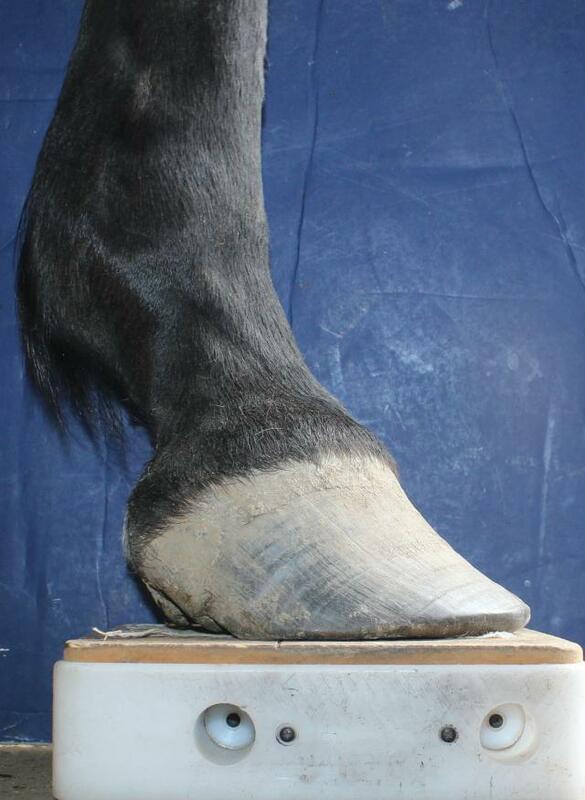 The heel on this horse is just as long as (arguably even longer) than the foundered horse’s heel in the article, but because the toe of the foot isn’t compromised by dying/dead laminae it remains structurally strong and doesn’t dish. Instead, the heel compresses and collapses under the stress. 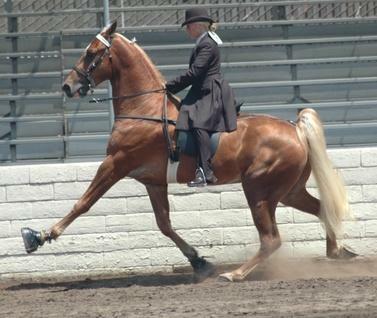 Both horses suffer from equally distorted foot imbalances. Below is an x-ray of a LHLT foot. Note that the coffin bone also looks rotated just as in the foundered horse. 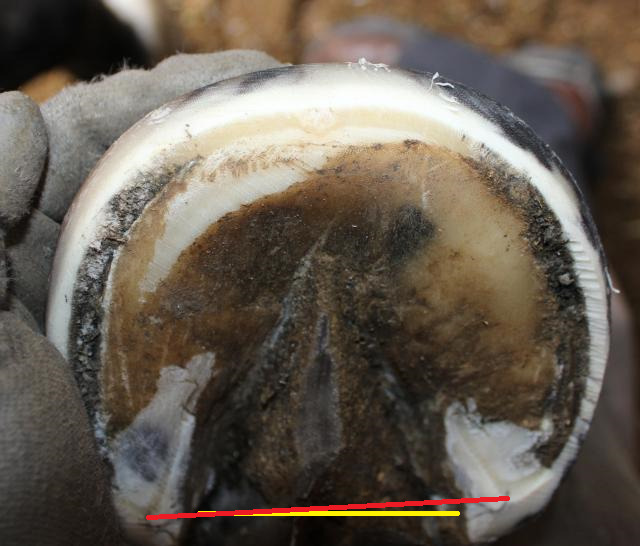 From the bottom we see that the foundered hooves have become oval shaped instead of round. (Back feet are less round than front feet, naturally.) The heels (red) are clearly not located at the widest part of the frog (yellow) as they should be, and instead are significantly forward. 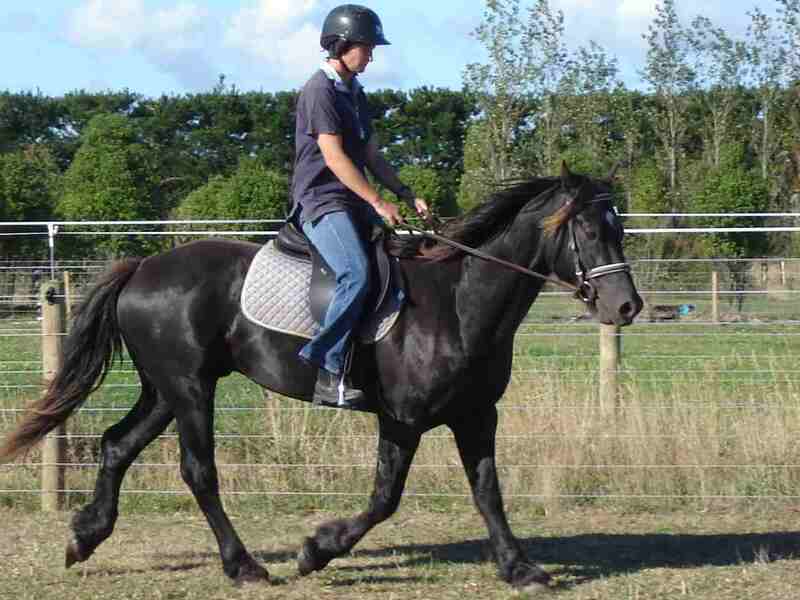 Seven months later the foundered hooves are round, heels and breakover point pulled back, frogs considerably healthier and more substantial, and white line stretching significantly reduced, showing nice tightness at the toe. Your horse’s feet don’t have to be this bad for it to be suffering from an imbalance, and there are lateral imbalances that are just as crippling to the horse. 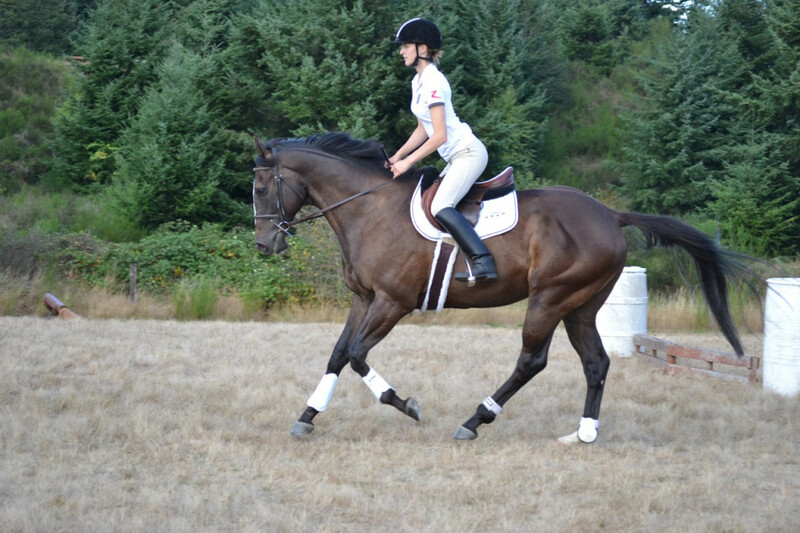 It’s time owners paid more attention to their horse’s feet and learned what’s good to see and what’s not. 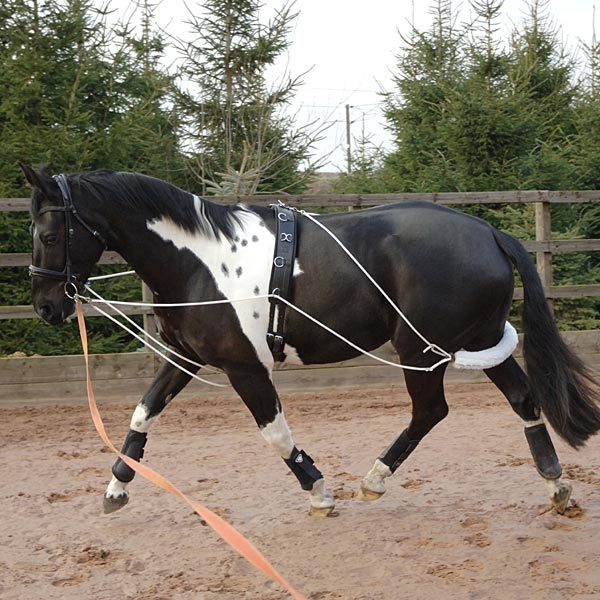 Like all things, some individuals are more sensitive and vulnerable to imbalances, showing lameness at the slightest, while still others can go years with foot imbalances before suddenly succumbing. Good leg and body conformation can often ‘absorb’ the stresses of imbalanced feet, but not forever. The weakest link eventually gives out. 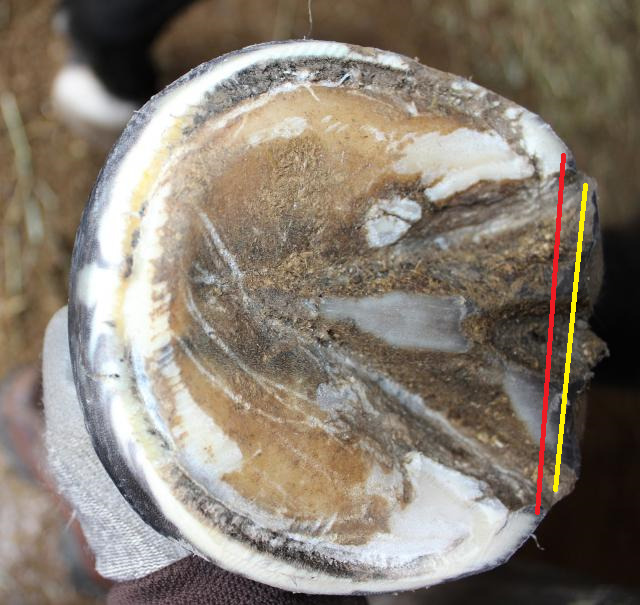 One final note; feet are so important to the horse’s long term health and soundness that poor genetic feet should be a deal breaker for breeders and buyers. Including but not limited to; small feet, flat soles, clubbed or shelly feet. 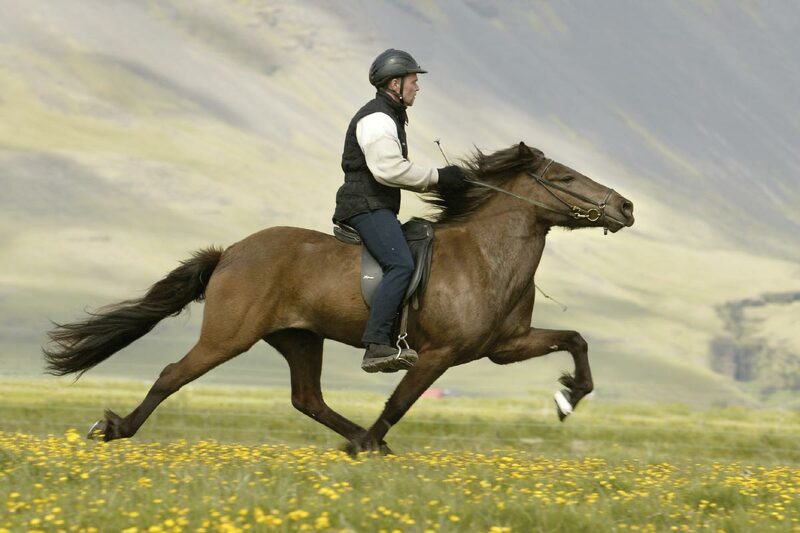 It does not matter if a horse has super sonic track speed or can jump the moon if its feet can’t function as intended, comfortably propelling it forward and absorbing the concussion of landings. It’s of no benefit to the horses to pass on, serving only to weaken the species and make man look selfish and stupid. I actually own a horse that would stand for this. Do you? As much fun as it would be to talk about Walter White and his adventures – wrong blog. 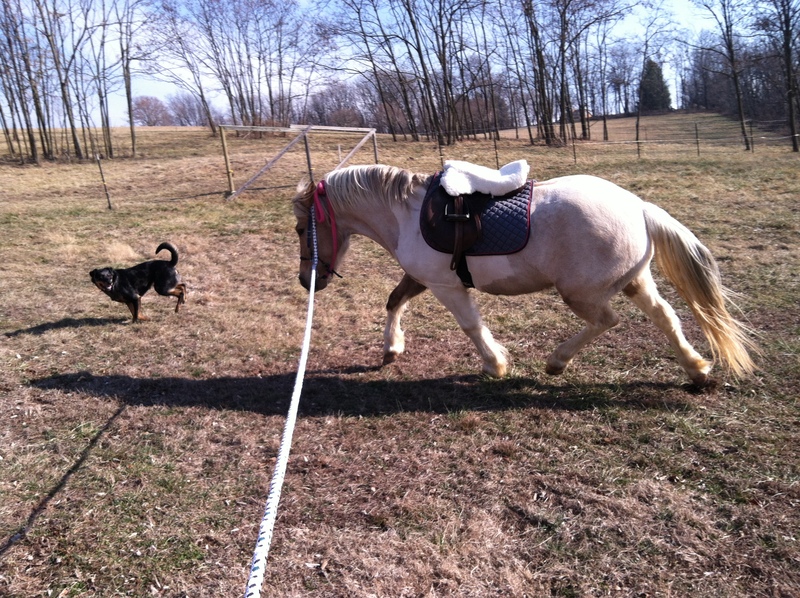 Instead it’s time to talk about the adventures of bad behaviors in our horses. Many will immediately think about the horse that bucks, rears, kicks or bites. But there are many more subtle behaviors that are just as unwanted and usually easily fixed. 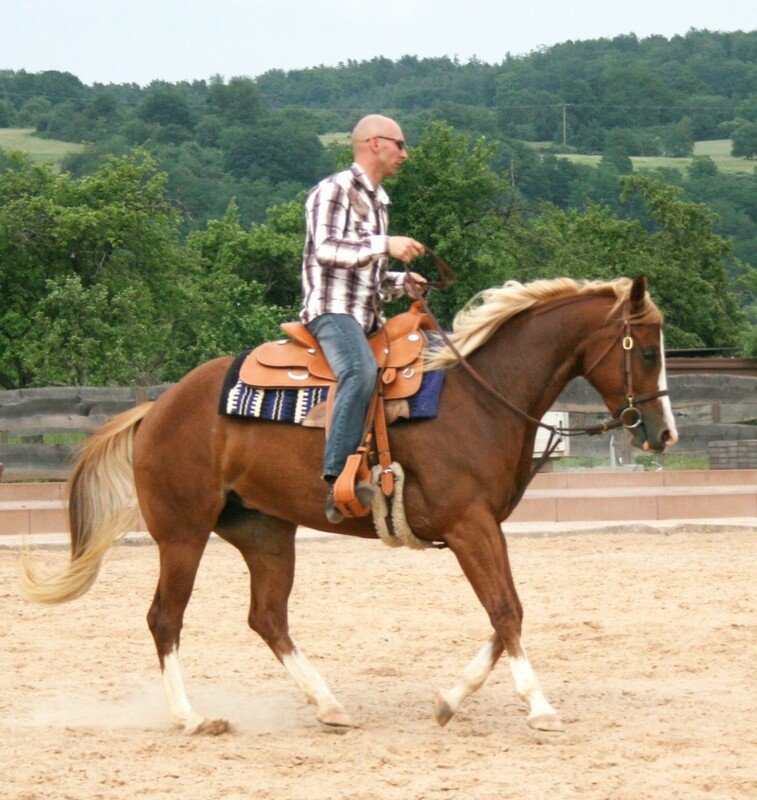 Unwanted behaviors typically get a foothold in horses for the same reason they do in people – they’ve been rewarded. The child who throws a temper tantrum in public knowing full well the parent will eventually give in and give them what they want. 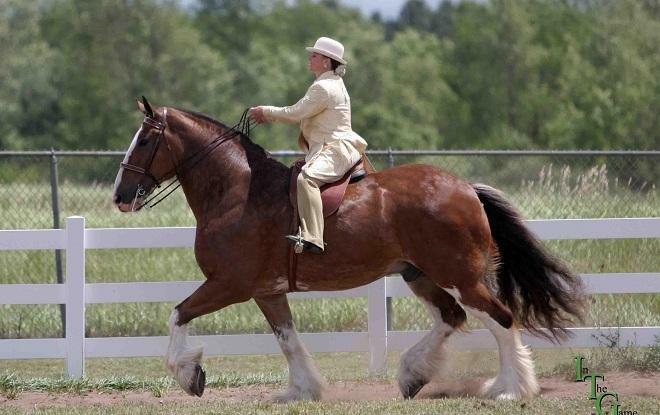 The horse that paws in the ties until the owner walks over to give them the attention they desire, maybe even a cookie, a pat, or a ‘good boy/girl’. Once a behavior is established it becomes harder to break. The longer a behavior exists the harder it becomes to break. The easiest, least time consuming method of training is to not let a behavior start in the first place, followed by nipping it in the bud the moment there’s a hint. This means we have to be attentive AND prepared to counter at a moment’s notice. Those who have limited experience are more likely to miss the first opportunity or make the wrong decision in the moment. Don’t be disheartened. 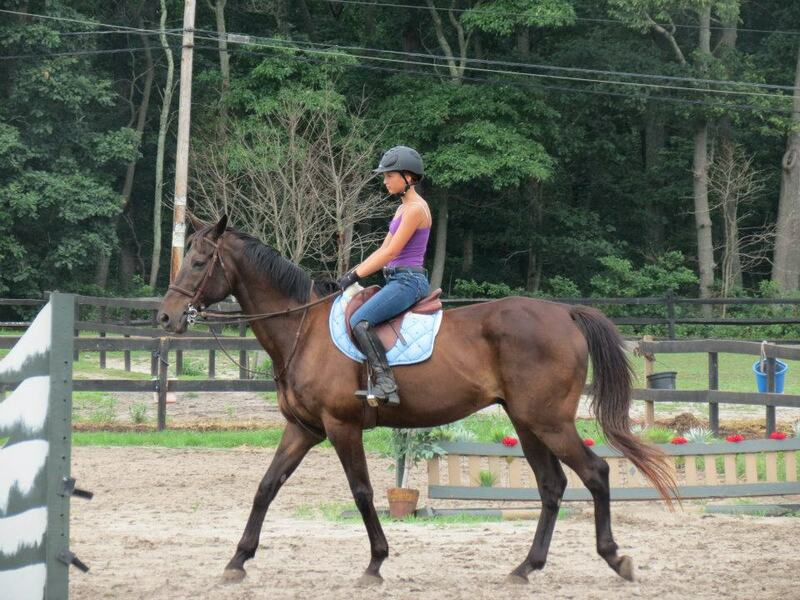 Horses are very forgiving, generous and teachable, more so than most people. If you’ve missed a chance to correct and can’t think fast enough on your feet, stop. Evaluate what just happened. Come up with a Plan A (and a Plan B). Sometimes the best approach will be to ignore the behavior, sometimes it’ll be to repeat the set of circumstances right away to get an opportunity to make a correction, occasionally avoidance can be an excellent tactic (for a period of time until other prerequisite training can be executed), and sometimes it will be to go on your merry way but armed with a readied plan should the behavior repeat. Again, experience teaches us which is the best approach for the issue. 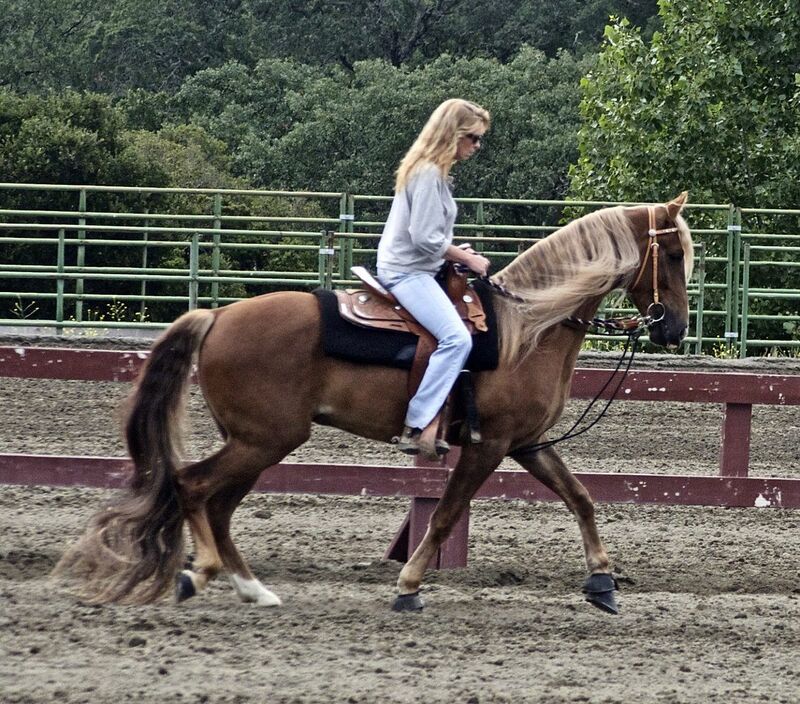 Draw from life experience, not just horse experience. And feel free to employ a good amount of common sense. Making a break for it: I’ve heard seasoned competitors turned TV commentators and analysts mention during Grand Prix events the difficulty of a jump because of its placement facing the outgate. I sigh and roll my eyes every time. How can one have gotten a horse to that level of performance and not know how to train it so that it doesn’t try to leave (or think about leaving) the arena simply because of the placement of a jump? And yet, it’s a constant worry for many such that course designers do it on purpose. I’ll concede that some horses have every right to attempt to leave, and I won’t blame them for that. Let’s assume that we aren’t dealing with that kind of a case. So, when and where does this behavior start? It starts the very first time you take your horse through a gate/door and away from ‘home’ (their stall/the barn/the paddock). Very quickly a pattern is established for the horse. 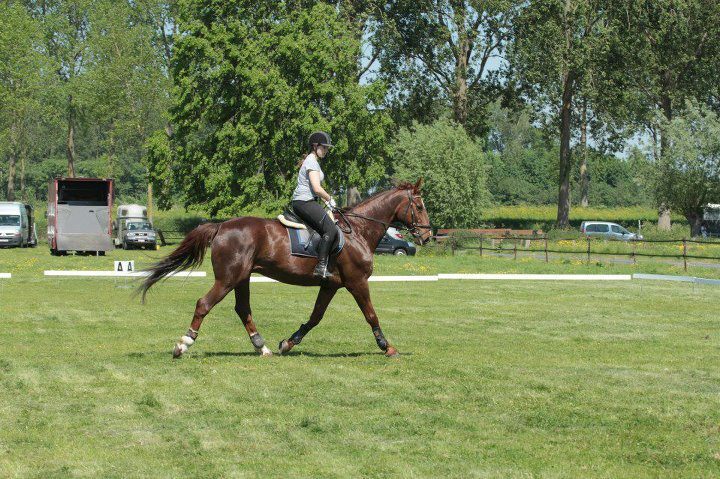 Therefore the first step is to make leaving and arriving pleasant experiences for the horse. 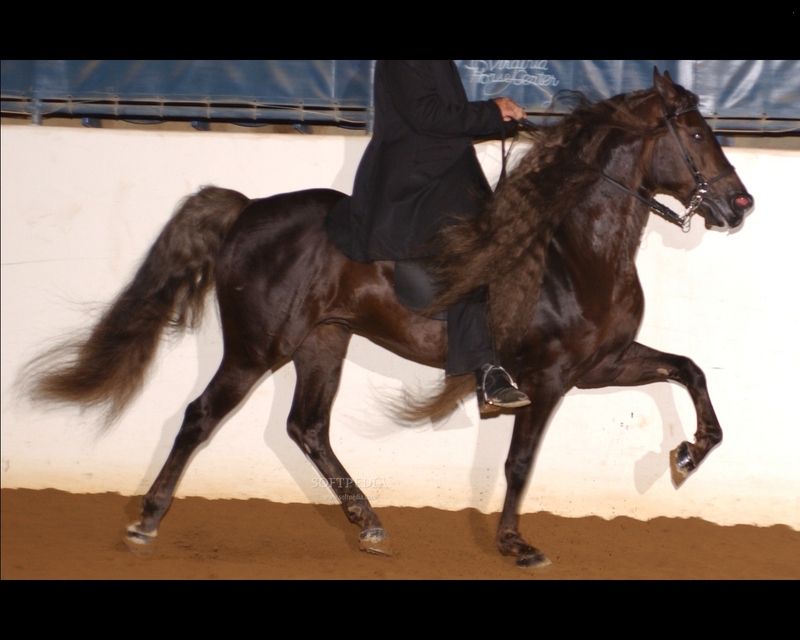 If every time the horse is pulled from its stall it’s a bad experience, or every time the horse enters a ring it’s a bad experience, it won’t take long for the horse to associate each side of the gate/door as good or bad. Early on (with horses that don’t have an established bad behavior) I like to ‘tempt’ the horse by leaving the gate wide open. I go about my business as though it doesn’t exist and is a solid wall. While I won’t specifically work at the gate, I won’t avoid it either. At the first sign of the horse thinking about ‘leaving’ (ear flick toward the gate, drifting, dropping onto the gate side shoulder, getting sticky off the leg on the gate side, sucking back and getting behind the aids), I’ll make a correction that involves more work for the horse; a transition, a change of direction, a circle, a loop. Then I’ll be on my merry way. On the next lap by, I’ll pretend nothing unusual happened last time, but I’ll be prepared to up the ante if the horse’s attention wanders again toward the gate. 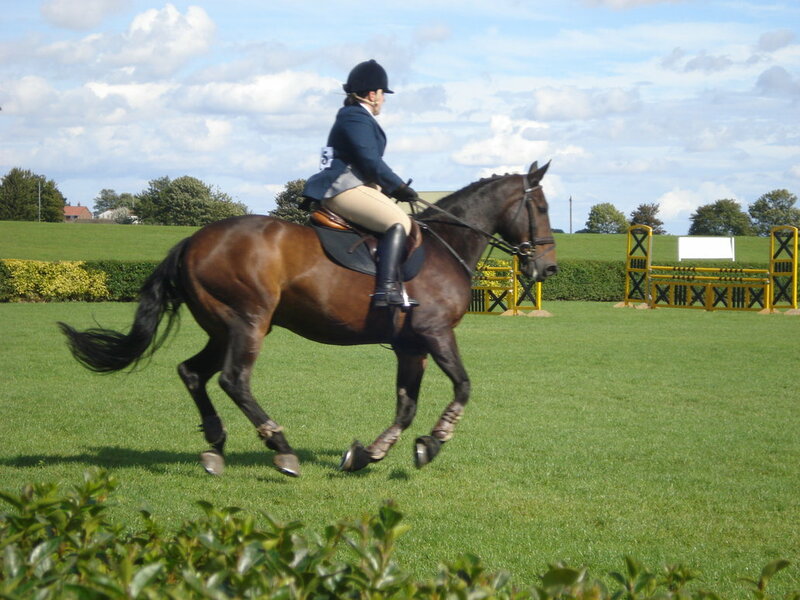 Most times it doesn’t, but for those who are extremely determined it can be beneficial to make the request BEFORE the horse thinks about making an attempt. Over the course of the horse’s training I’ll make the gate more tempting. 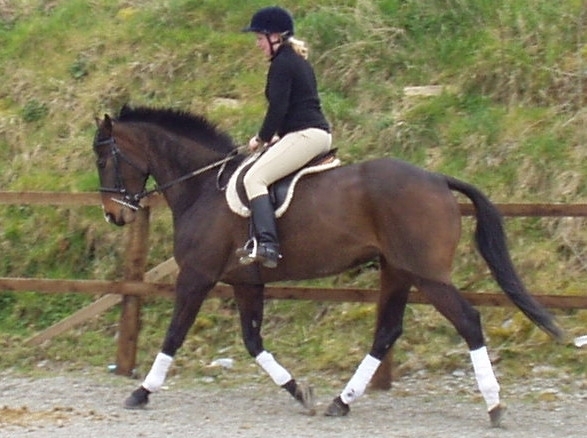 I’ll change direction and trot right at it, later cantering at it, always checking in with the horse to see what he/she is thinking. Sometimes I’ll change direction again, or do a circle long before getting to the gate. Sometimes I’ll ride very forward toward the gate only to transition and change direction, or halt, or, or, or. Mixing it up keeps the horse’s attention on the rider, rather than on the gate. Soon the gate ceases to exist. If you’re planning on jumping, don’t start by jumping at the gate. 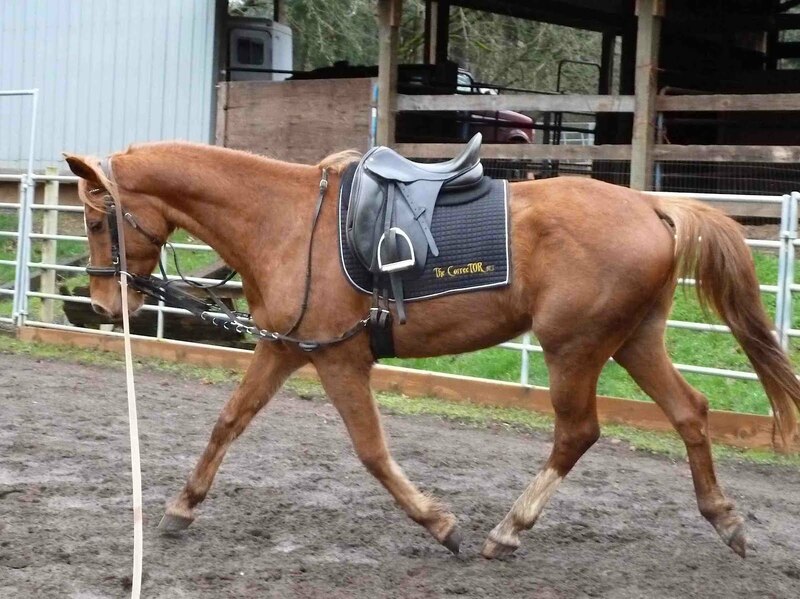 Start by doing groundpole and cavelletti work towards it on the line and then under saddle, particularly if you’re having to retrain the horse. It’s nice if an arena/ring/field has more than one gate by which to enter and leave. 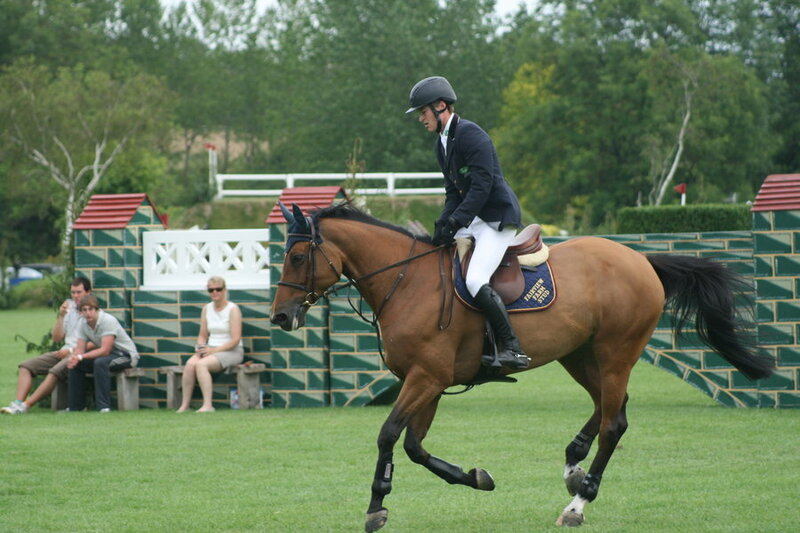 Don’t always ride out, sometimes dismount and handwalk the horse out. 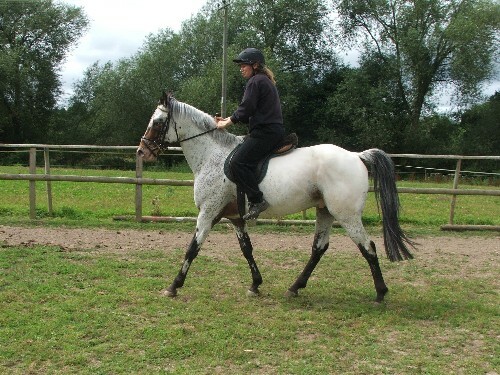 I’ve even backed a horse out of a ring mounted and on the ground. And lots of times I’ve continued to work the horse outside of the ring, so that there’s not a specific association like: I leave the ring and I’m done. 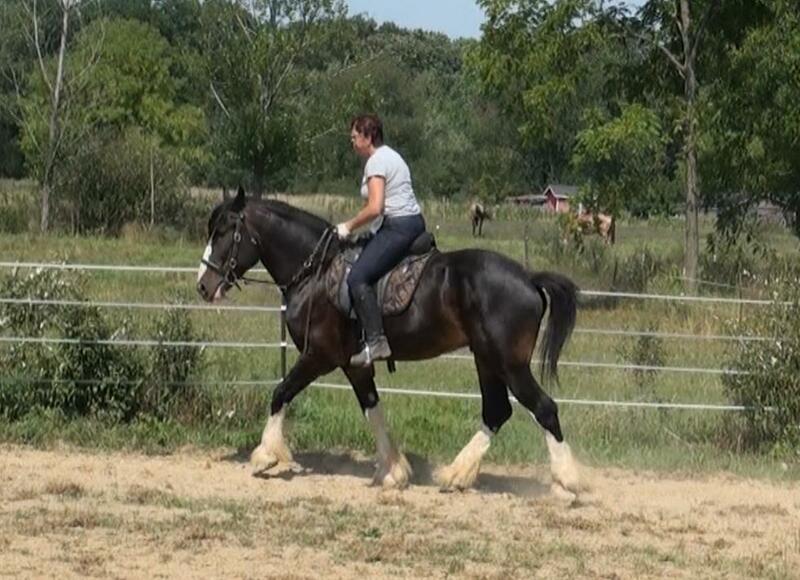 It can even be helpful to leave the ring and then turn right around, reenter, and work a bit longer. That was just one example. 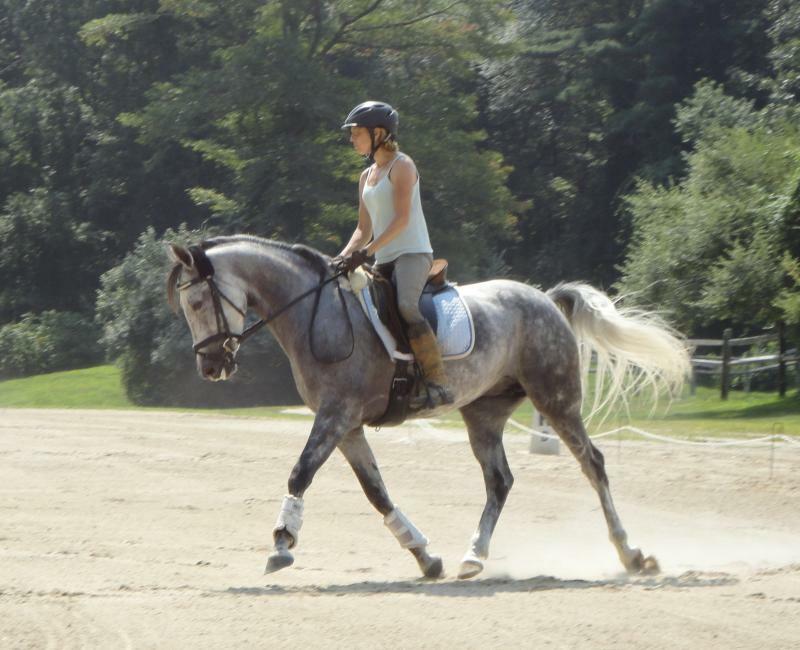 Take a moment to think about what unwanted behavior you’d like to change in your horse, and then honestly evaluate how much of a role you’ve played in creating or encouraging it. 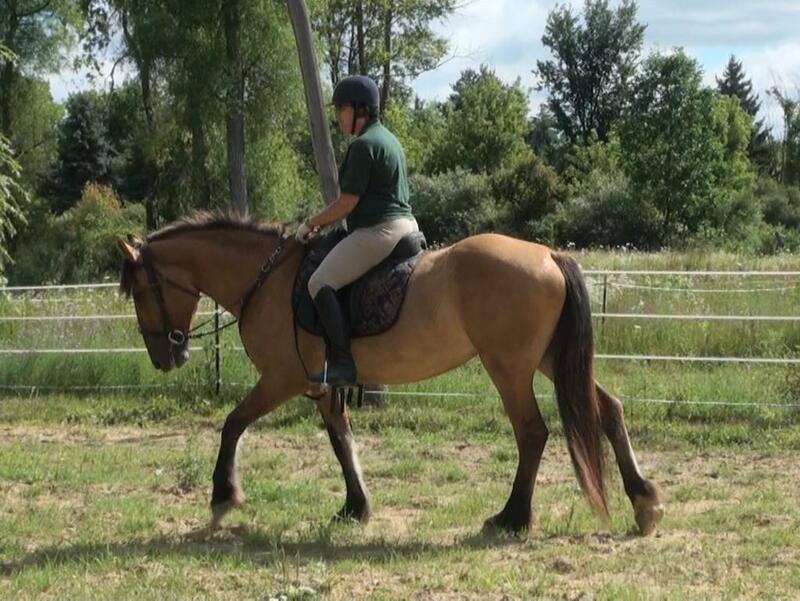 It’s common for people to make excuses for behaviors in their horses: ‘My horse doesn’t like to do this or that because…’, ‘My horse won’t do this or that because…’. Once you’ve accepted your responsibility, make a plan of sequential baby steps to fix it. Breaking bad behaviors starts with you.